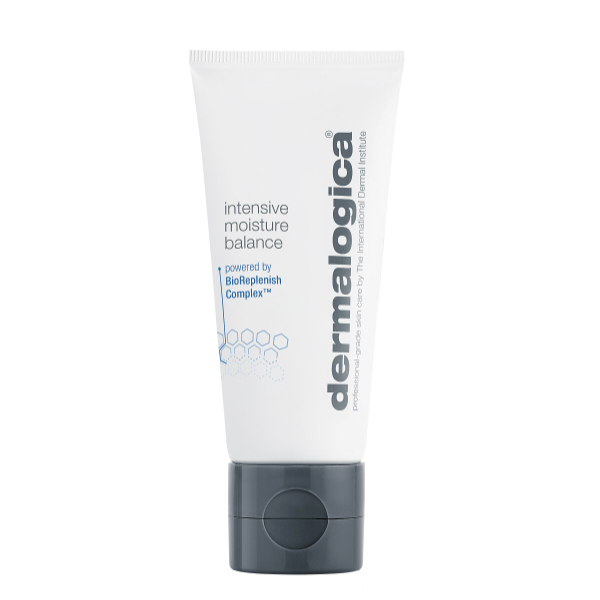 Dermalogica Intensive Moisture Balance 3.4oz. Simply the best! 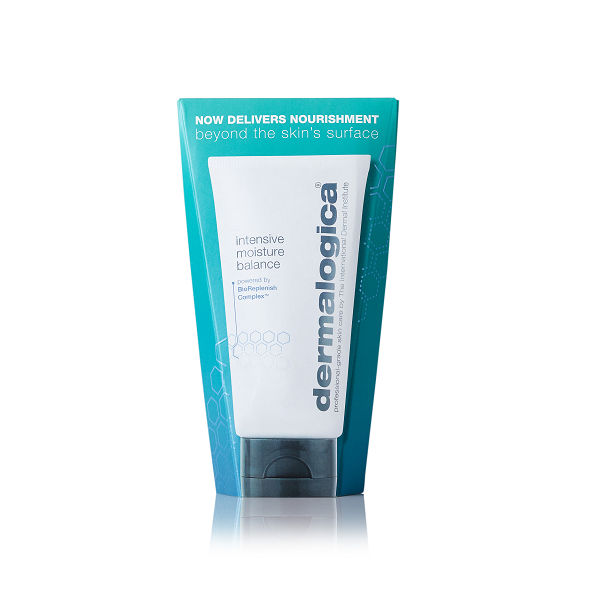 I've tried many different high end moisturizers, but always come back to Dermalogica's Intensive Moisture Balance. It is the ONLY lotion that makes my very dry skin perfect without having to reapply it over and over. Once in the morning and once at night will do. Love Love Love this product! This leaves a very soft feeling, but not a greasy one. I love to use this on those LOW humidity days which make my face feel very dry. Love this moisturizer!! It feels great going on and the smell is wonderful. I love this product and have been using it for years. Occassionally when I run out of the product, I notice right away that my skin loses its healthy glow. I have been using this product for almost 30 years... I still get compliments for my skin! I have used this moisturizer for many years and now that I have moved to AZ from the south, understand how wonderful it really is. Been using this for years. I still sigh with pleasure every time I apply this moisturizer. Apply over damp face and throat with light, upward strokes. Use twice daily, morning and night. Water/Aqua/Eau, Ethylhexyl Hydroxystearate, Butylene Glycol, Cetearyl Ethylhexanoate, Cetyl Caprylate, Stearic Acid, PEG-8, Octyldodecanol, Dimethicone, Glyceryl Stearate SE, PEG-100 Stearate, Sodium Hyaluronate, Hydrolyzed Sodium Hyaluronate, Sodium Aascorbyl Phosphate, Chlorella Vulgaris Extract, eramide NP, Phytosterols, Centella Asiatica Extract, Linoleic Acid, Echinacea Purpurea Extract, Aloe Barbadensis Extract, Palmitic Acid, Myristic Acid, Rosa Centifolia Flower Extract, Lactic Acid, Linolenic Acid, Propanediol, Tocopherol, Potassium Cetyl Phosphate, Helianthus Annuus (Sunflower) Seed Oil, Tetrasodium Glutamate Diacetate, Ethylhexylglycerin, Cetyl Alcohol, Carbomer, Hydroxystearic Acid, Aminomethyl Propanol, Sodium Hydroxide, Phenoxyethanol.